EpiDoc is an international, collaborative effort that provides guidelines and tools for encoding scholarly and educational editions of ancient documents. 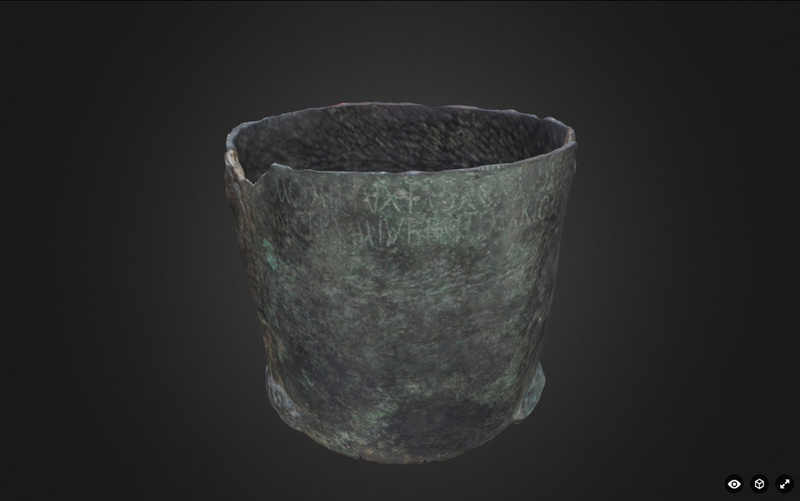 It uses a subset of the Text Encoding Initiative's standard for the representation of texts in digital form and was developed initially for the publication of digital editions of ancient inscriptions (e.g. 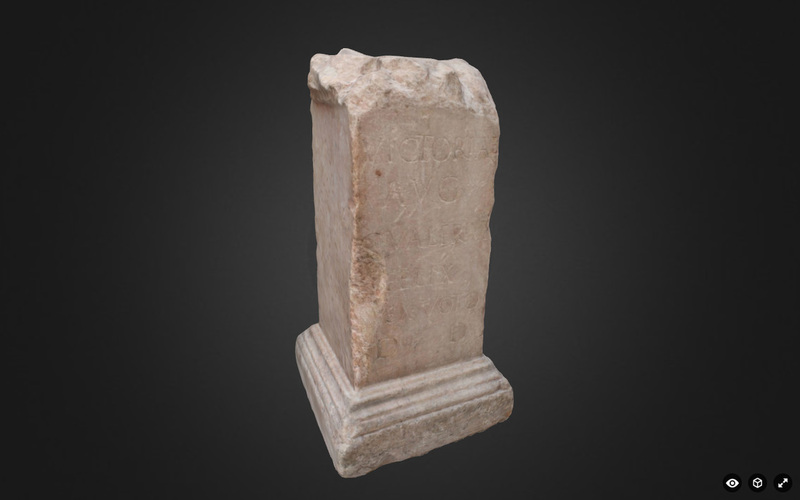 Inscriptions of Aphrodisias, Vindolanda Tablets). Its domain has expanded to include the publication of papyri and manuscripts (e.g. Papyri.info). 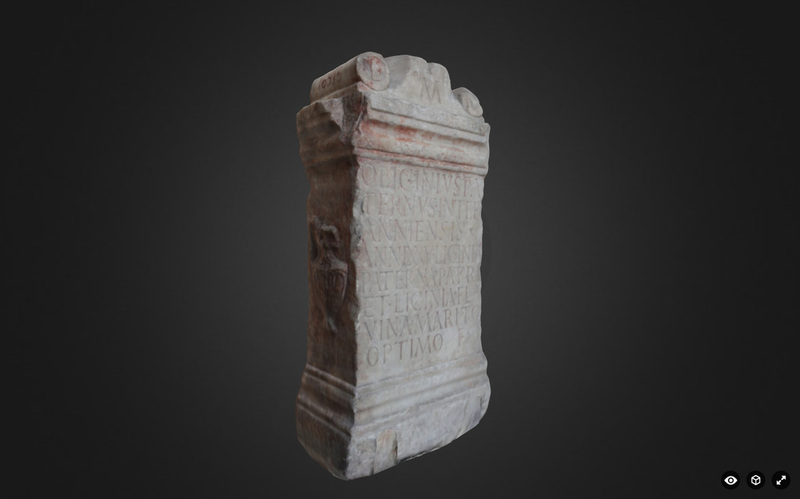 It addresses not only the transcription and editorial treatment of texts themselves, but also the history and materiality of the objects on which the texts appear (i.e., manuscripts, monuments, tablets, papyri, and other text-bearing objects). Illinois Classical Studies was founded in 1976 by Miroslav Marcovich, Head of the Department of the Classics (1973-77) at the University of Illinois. Professor Marcovich served as editor from 1976-82 and 1988-92. Professors J. K. Newman (1983-87), David Sansone (1992-2000), Gerald M. Browne (2001-2003), and Danuta Shanzer (2004-2011) were subsequent editors of the journal. ICS publishes original research on a variety of topics related to the Classics, in all areas of Classical Philology and its ancillary disciplines, such as Greek and Latin literature, history, archaeology, epigraphy, papyrology, patristics, the history of Classical scholarship, the reception of Classics in the Middle Ages, the Renaissance and beyond. ICS has also published thematic volumes on topics such as Greek Philosophy, Euripidean tragedy, Latin poetry, and Byzantium. IDEALS provides open access to volumes 1 (1976) - 23 (1998) of Illinois Classical Studies (ISSN 0363-1923). Information about current issues and subscriptions can be found at the University of Illinois Press at http://www.press.uillinois.edu/journals/ics.html. The project, which was launched April 1st 2009, will last 48 months and aims at developing so-called “open laboratories for research and experimentation”, where all expertises convey, analysis, and technical activities are performed, experimental techniques and new data processing tested, and formation activities are held. The place chosen for the principal “open laboratory” is the archaeological site of Ammaia in Portugal. Here, the Coordinator Institution (University of Evora) pilots an archaeo-topographical project named “Cidade de Ammaia”, centred around a deserted Roman town. This research is linked to several reference projects, mainly on Roman urban sites in Italy, where several of the partners are active since many years. This website wants to take Radio-Past online, by offering up-to-date and elaborated information on the aims of the project, the research techniques applied, the partners involved, and the results gained. Using the navigation area above, it is possible to address these specific project topics. Please, feel also free to comment on this Radio-Past project, as your input can be of great value to all the researchers currently involved. As frequently as possible, this site will be updated with more texts, and downloadable maps and pictures. Cette collection de témoignages vise à rassembler au sein d’une base de données informatique le texte des sources relatives aux philosophes dits présocratiques ou préplatoniciens. Dans un premier temps, la collecte des témoignages ne sera cependant systématique que pour les philosophes Milésiens (Thalès, Anaximandre, Anaximène) et Eléates (Xénophane, Parménide, Zénon, Mélissos). Cette limitation pratique tient au caractère de « prototype » de cette base de données, qui reste en voie d’élaboration tant pour ce qui concerne les entrées de textes que les formes de leur indexation. Nous la publions seulement à titre de proposition, soumise à la critique. This collection of testimonies aims at collecting in a database the text of the sources related to the so-called presocratic philosophers. This collection of testimonies has been at first limited to Milesian (Thales, Anaximander, Anaximenes) and Eleatic philosophers (Xenophanes, Parmenides, Zeno, Melissus). This limitation was only a practical one. This web site, and the database attached to it, is only to be considered as a prototype of what an exhaustive collection of testimonies related to presocratic philosophers should look like. The work has not to be considered as a finished one : indexations, at many levels, have not been completed, texts are still lacking, etc. 1. 153 new translations (by Stephen Lambert, P. J. Rhodes, Feyo Schuddeboom and Lina van’t Wout). This brings the total number of translations on the site to 469. S. D. Lambert, Notes on Inscriptions of the Marathonian Tetrapolis. AIO Papers 1. S. D. Lambert, Inscribed Athenian Decrees of 229/8-198/7 BC (IG II3 1, 1135-1255). AIO Papers 4. (c) numerous other improvements to site design and functions. The American Schools of Oriental Research (ASOR) is a non-profit 501 (c)3 organization that supports and encourages the study of the cultures and history of the Near East, from the earliest times to the present. ASOR is apolitical and has no religious affiliation. We were founded in 1900 by twenty one institutions—including Harvard, Princeton, Yale, and Columbia. Over a century later, ASOR has more than 90 consortium institutions, including universities, seminaries, museums, foundations, and libraries. In addition, we have more than 1,550 individual members. ASOR communicates news of the latest research findings in our publications, through lectures at the Annual Meeting, and our overseas institutes host scholars working in the Middle East. ASOR's book series and journals, such as Near Eastern Archaeology and the Bulletin of ASOR, are intended for both a lay audience and specialist archaeologists, historians, and Biblical scholars. ASOR's Annual Meeting brings together scholars from around the world to present their latest findings and discuss their research. Our independent overseas institutes in Cyprus, Israel, and Jordan facilitate research in the field by students and scholars. 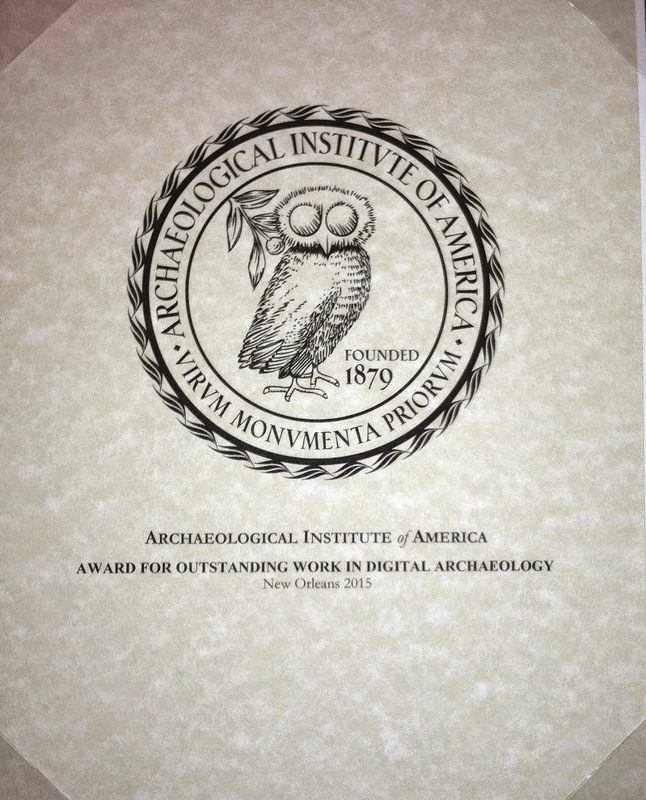 Fellowship programs are available to provide funds for work at these institutes as well as for Mesopotamian studies and student travel to the Annual Meeting. Suda News: "A translation of the last of the Suda’s 31000+ entries was submitted to the database on July 21, 2014 and vetted the next day." ... At present (July 2014), the family of active and emerita/us SOL contributors comprises over 200 individuals from five continents and more than 20 countries, but geography is not the only aspect that makes this group diverse and eclectic. In addition to research-active university faculty, our roster has included retired professors, scholars in countries where the internet provides an invaluable supplement to meager local resources, and talented classicists who for one reason or another have ended up in careers other than higher education. One of the great benefits of SOL is the opportunity the project gives to such scholars to make a valuable contribution to the field. SOL has also been used to good effect in the classroom. Instructors at several colleges and universities have assigned entries to graduate and advanced undergraduate students for supervised translating and annotating, and hundreds of their contributions are now a permanent part of the database and can be listed as published scholarly works on the students’ CV's. One of our most prolific contributors, Jennifer Benedict (over 4500 translations), did most of her work on the SOL as an undergraduate at William & Mary. Several scholars, including Peter Green, Malcolm Heath and John Melville-Jones, donated translations of entries that they had done previously for other purposes. Discentes Vol. 2 No. 2 (April, 2014) was published in the Department of Classical Studies, University of Pennsylvania. Discentes Vol. 2 No. 1 (December, 2013) was published in the Department of Classical Studies, University of Pennsylvania. Discentes Vol. 1 No. 2 (April 2013) was published in the Department of Classical Studies, University of Pennsylvania. Discentes Vol. 1 No. 1 (December, 2012) was inspired by the earlier journal, Polymatheia (April, 2008). Polymatheia, The Undergraduate Journal of Classical Studies, vol. 1 no. 1 was published April, 2008 in the Department of Classical Studies, University of Pennsylvania. Vol. 2 no. 2 was planned but not published. In 2000 a team of Ghent University (Belgium), under the direction of Prof. Frank Vermeulen, started a very intensive survey of an Adriatic valley. Denominated 'Potenza Valley Survey' (PVS), this research project aims at measuring the evolution of social complexity during Antiquity in a specific part of Central Italy. The fieldwork operations in the valley of the river Potenza included systematic archaeological field walking, active aerial photography, artefact studies, re-study of excavated evidence, detailed geomorphologic field mapping, geophysical surveys and topographic analysis. During the years these interdisciplinary and mostly non-invasive approaches allowed to obtain a new holistic synthesis of the occupation history in this territory, with a special emphasis on the protohistoric, Roman and early medieval periods. This website wants to take the PVS online, by offering up-to-date information on the aims of the project, the methodologies applied and the results gained. As frequently as possible, this site will be updated with more texts, maps and pictures. So please check regularly. The Potenza Valley Survey. A breef look at aerial photography. Aerial photography with the helikite. The Potenza Valley Survey 2007. Mechanically digging out the excavation area. Manually digging out the excavation area. Discovering the remains of the city wall. Taking heights, drawing and collecting animal bones. The restoration of a tombstone. La nécropole de Deir el-Medina, concession de l’Ifao, a déjà fait l’objet de plusieurs publications. Toutefois, ces monographies ne reprennent pas toutes les photographies dont dispose l’Ifao ; en outre, dans le passé, les illustrations se limitaient souvent à des clichés en noir et blanc, voire à des planches au trait. La base de données ci-jointe réunit l’ensemble des clichés faits par l’Ifao (plaques de verre, diapositives couleurs, négatifs n/b, photos numériques), tombe par tombe, et, pour chaque tombe, paroi par paroi, en suivant la numérotation du « Porter & Moss »1 , universellement utilisée. Le classement permet ainsi une comparaison immédiate des clichés entre eux. Pour chaque photographie, le nom du photographe et la date de prise de vue sont indiqués. 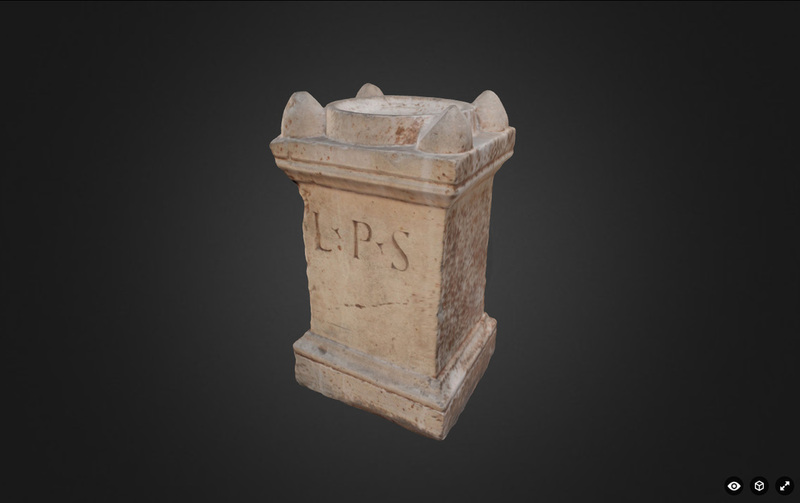 Nous avons pris le parti de mettre en ligne un certain nombre de clichés techniquement « imparfaits » (voire des diapositives qui ont « viré » au rose ou au violet), pour les raisons suivantes : certains clichés très anciens donnent un état du monument qui n’existe plus ; d’autres clichés ont un cadrage ou un éclairage différent de celui des photographies de bonne qualité et permettent ainsi de voir des détails différents. Concernant les datations : certaines datations ont fait l’objet d’une étude approfondie de la part des auteurs, d’autres sont simplement reprises à Porter & Moss en attendant mieux. Pour l’instant, seules les images des tombes publiées s’affichent sur le site. Au fur et à mesure que sortiront de nouvelles publications de tombes, la base de données sera mise à jour. Les photos sont en basse définition. Les chercheurs qui le souhaitent peuvent obtenir, à des fins scientifiques ou pédagogiques, ces mêmes photos en haute définition et sans légende incrustée via le lien Demande de reproduction, avec obligation de mentionner le copyright fourni par l’Ifao. La qualité de la photo affichée ne présage pas de la qualité finale de la photo demandée, en particulier pour les vues en noir et blanc. Le Service des Archives remercie Vincent Razanajao, Editor of the Topographical Bibliography and Keeper of the Archive, Griffith Institute (Oxford), pour nous avoir autorisés à reproduire les croquis de position établis par Miss Porter et Miss Moss (« the sketch plans in the Bibliography are not drawn to scale, and while giving a general idea of shape and proportions, are simply intended as a guide to the position of scenes and texts », Vol. I, first edition, 1927, p. XII). Grâce à l'aimable collaboration de V. Razanajao, des liens sont établis, pour chaque tombe (et bientôt pour chaque paroi), entre la base de données de l'Ifao et la nouvelle version, électronique, du Porter & Moss, le TopBib (http://topbib.griffith.ox.ac.uk). 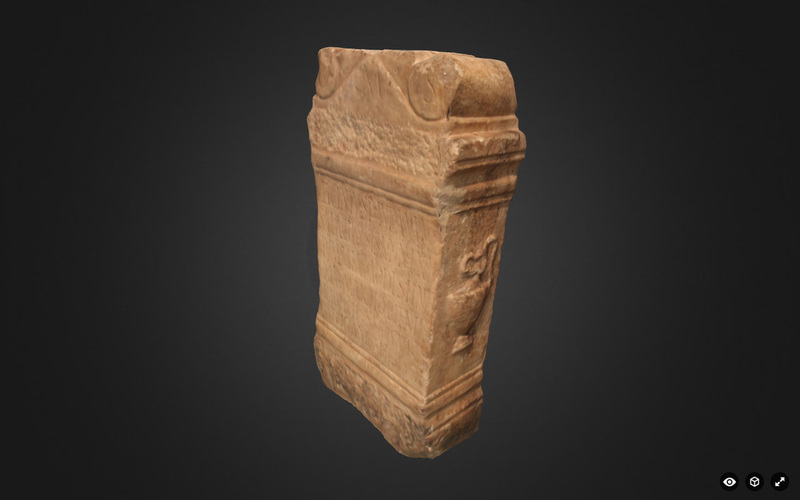 This website is produced by the Gordion Archaeological Project at the Penn Museum of the University of Pennsylvania. 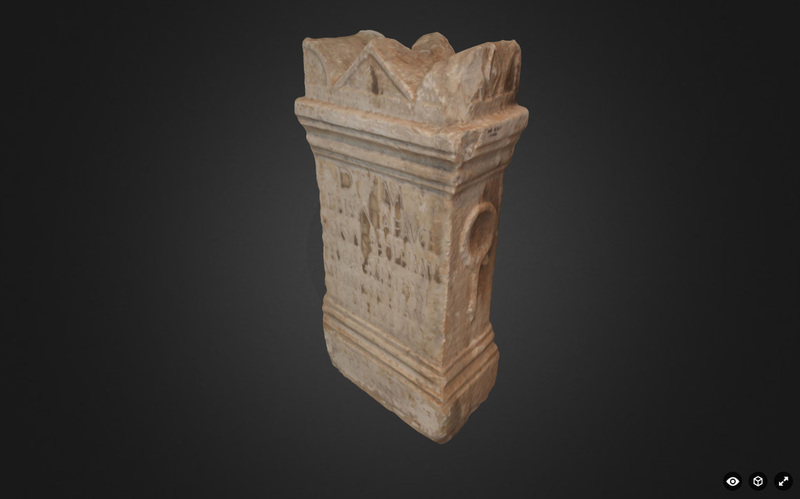 Our goal is to make key Gordion information and interpretations more immediately accessible to the world at large, and to encourage the broadest interest in this historically important place and the many cultural associations that have marked it through the centuries. Thank you for taking the time to visit us. We hope you’ll enjoy learning about Gordion. If you have any comments or suggestions to improve our website, please don’t hesitate to get in touch. Cuneiform writing was invented some 5000 years ago in southern Iraq for the purpose of keeping accounts - and for the next few hundred years book-keeping remained its sole use. The last datable cuneiform tablet, also from southern Iraq, is an astronomical diary for the year 75 CE. For the three millennia spanning the rise and fall of cuneiform writing, and arguably for some time after, numeracy was an inseparable and essential part of literate culture throughout the Middle East. 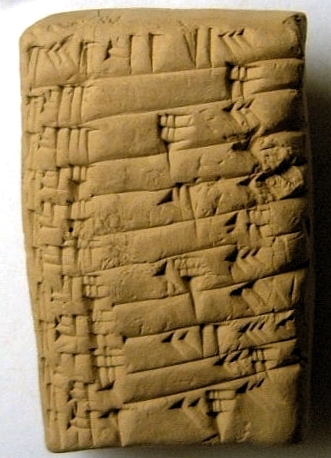 While the vast majority of cuneiform tablets contain numerical data, written by professional scribes, a smaller number are the outcome of teaching, learning, or communicating mathematical techniques or ideas as part of scribal education. 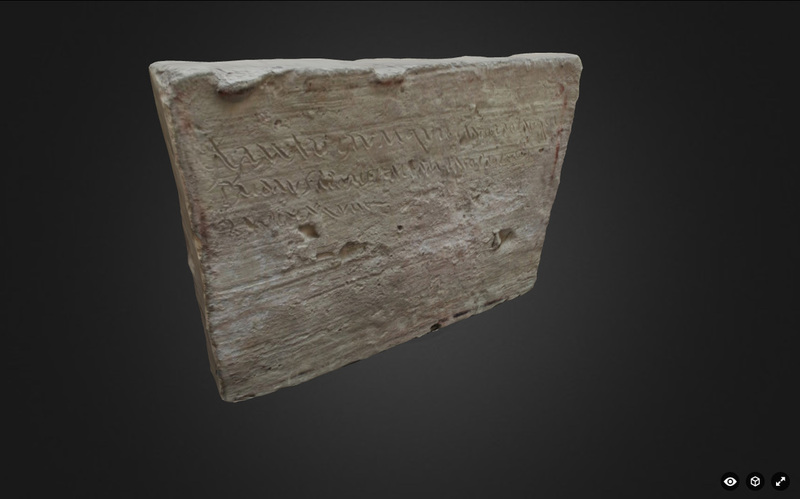 This website presents transliterations and translations of around a thousand published cuneiform mathematical tablets; a similar number await decipherment and analysis in museums around the world. The text and editions on this site are by Eleanor Robson whose work on this project was supported by an Early Career Fellowship from the University of Cambridge's Centre for Research in Arts, Social Sciences and Humanities in January-March 2007. 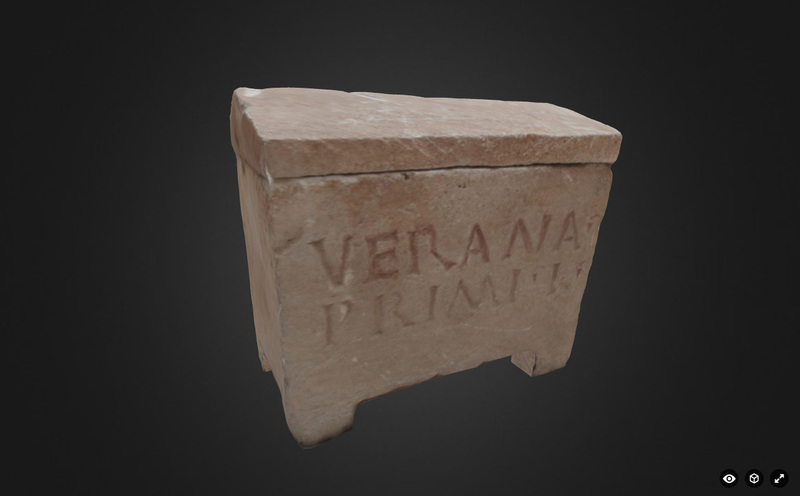 Esta web y todos sus recursos forman parte del proyecto proyecto FCT-13-6025 "Descifrando inscripciones romanas en 3D: Ciencia epigráfica virtual", financiado por la Fundación Española para la Ciencia y la Tecnología – Ministerio de Economía y Competitividad y la Universidad de Las Palmas de Gran Canaria, dentro de la convocatoria de ayudas para el fomento de la cultura científica y de la innovación del año 2013. Investigador responsable: Manuel Ramírez Sánchez (Universidad de Las Palmas de Gran Canaria, Instituto Universitario de Análisis y Aplicaciones Textuales). La reforma del Museo Arqueológico Nacional, cuyas salas se reabren mañana 1 de abril, ha aprovechado espacios que, hasta la fecha, no estaban dedicados al discurso expositivo. Sin duda, entre los aciertos de esta reforma se encuentra el aprovechamiento de los dos patios que, hasta ahora, permanecían cerrados al público. En uno de ellos, el llamado "patio romano" se exhiben las mejoras piezas de la colección epigráfica del Museo Arqueológico Nacional y una selección de la colección de escultura romana. Aprovechando los trabajos de escaneado de las inscripciones, hace unas semanas, realizamos dos fotografías esféricas de la sala 20, que compartimos aquí. Las fotografías están alojadas en Photosynth y, para visualizarlas en algunos navegadores deben instalar previamente un plugin. Te recomendamos la opción de visualización a pantalla completa, que permite disfrutar de la sensación de visitar la sala como si estuviéramos allí mismo, desde el techo al suelo y desde todos los ángulos.